Discover where to host corporate events in Gloucestershire with SoGlos's dedicated guide to conferences, business meetings, exhibitions and exclusive use venues in Cheltenham, Cotswolds, Forest of Dean, Gloucester and Stroud. With venues across Gloucestershire, discover where to host your next corporate event. SoGlos’s Gloucestershire corporate venue guide provides a handpicked selection of some of the best business venues in and around the county. The indispensable guide spans a range of venues perfect for hosting conferences, business meetings, exhibitions, exclusive use and launch events across the county. From luxurious hotels and world class educational establishments to country inns and unique locations, SoGlos’s Gloucestershire corporate venue guide provides plenty of inspiration for your next business event. Revolution Cheltenham is an ideal venue for teams wanting to mix it up, offering corporate cocktail making, amazing food and unusual, yet accessible venues. Hire the entire bar for a team building extravaganza or reserve a smaller area for an intimate meeting with excellent atmosphere. Promising inspiring team building events across four different areas of the venue, Revolution Cheltenham can hold 600 people when hired in its entirely. Alternatively, groups of 40 or fewer can set up in the restaurant area. There’s also the option to hire the mezzanine bar, hosting 100 delegates, or the complete upper level for groups of up-to 150 people. Serving up five delicious food packages for parties and meetings, the team at Revolution can supply everything from simple bar snacks through to a platinum level buffet. Including dishes such as fresh fruit fondue, charcuterie and tempting flatbreads; alongside revolution’s incredible drinks selection, there’s a menu to suit a range of budgets and tastes. There is no on-site parking but Cheltenham’s Regent Arcade car park is nearby, as well as the town’s main bus depot just two-minutes’ walk away. There is no on-site accommodation but the venue is within walking distance of the centre of Cheltenham which benefits from a variety of accommodation for all budgets, with further details listed in our directory of Cheltenham hotels. Revolution Cheltenham has turned the world of work on its head, encouraging us to mix business with pleasure in one of their two-hour team building cocktail sessions. Each class is tailor made to the company taking part, offering personalised certificates, competitions for fastest and best cocktail as well as the chance to drink all those delicious cocktails afterwards! Call (01242) 234045 or visit revolution-bars.co.uk/bar/cheltenham directly. Nestled at the edge of the Cotswolds, De Vere Cotswold Water Park is a contemporary and luxurious four-star hotel with a private lake, nature reserve and 56 acres of stunning parkland. Located near to Cirencester, the venue is just 20 minutes from the M4 and M5, and also offers extensive spa and leisure facilities. The spacious hotel benefits from 21 flexible meeting rooms, conference, and events spaces. Each of these benefits from flexible presentation and seating configurations, modern AV technology and free super high-speed Wi-Fi. The two largest conference rooms can each accommodate up to 400 delegates, while the permanent marquee caters for 500 with potential to extend to welcome 1,000 guests. Choose from a wealth of catering options spanning working lunches, barbecues, and private dining, with menus devised by the experienced in-house team. There is complimentary parking for up to 500 vehicles. The hotel offers 328 bedrooms, making it a perfect venue for residential events, while there is also a selection of self-catering apartments to choose from. If you want to make a weekend of it, the hotel can organise entertainment and themed evenings. Or, if you want to tie in some team building activities, the hotel can arrange everything from wakeboarding to dragon boat racing. Providing a huge number of options for corporate groups or team getaways, Eastwood Park offers a stunning setting within 200 acres of Gloucestershire countryside. Based in Wotton-under-Edge, the venue is easily accessible from Bristol, Gloucestershire, The Midlands and South Wales. Choose from eight conference and meeting rooms and include added extras such as Danish pastries, laptop hire, flipcharts and bacon rolls with the Pick ‘n’ Mix package. With prices available per-person, Eastwood Park makes it simple to create a bespoke meeting space, perfectly suited to your individual team’s needs. Alternatively, organisers can benefit from a number of standard packages, including day delegate packages and overnight options. The catering team at Eastwood park can offer a number of tasty options for both small groups and large corporate events. Two- and three-course lunches and dinners are available alongside afternoon teas, bowls of chips, sandwich platters, energy boosting chocolate platters, bacon rolls, pastries, fruit and hot drinks. Ample free parking is available in Eastwood Park’s on-site car parks. The hotel offers 71 en-suite bedrooms throughout its main house and new Garden Wing. Some of the main house rooms are decorated in a more traditional style than the contemporary garden rooms but are equally comfortable and cosy for an overnight stay during a corporate getaway. Team building breaks are also available to book through Eastwood Park’s events team. Options include quad biking, crossbows, air rifle shooting, rage buggies, hovercraft, it’s a knockout, segways and indoor office Olympics. Located on the outskirts of Gloucester and within 10 minutes of the M5, Hatherley Manor provides a convenient base for hosting conferences, meetings or seminars in Gloucestershire. The three-star manor house hotel is set on 37 acres of beautiful grounds, offering ample space for an array of functions. Hatherley Manor benefits from five function rooms, with capacity to welcome groups of all sizes. The Hatherley Suite is one of Gloucestershire’s largest function rooms, with space to accommodate up to 400 delegates for a seminar or 360 for a private lunch or dinner, along with the added bonus of having its own private bar, a separate entrance and access to the pretty walled garden. The other function spaces include the Mulberry Suite, accommodating up to 160 delegates; the Moat Suite, with space for up to 130 guests; the Redwood Suite seating 22; and the Oak Suite, which welcomes up to 12. All of the function rooms benefit from natural daylight, along with complimentary high speed Wi-Fi. The spacious grounds are also ideal for team building, with the choice of activities spanning laser clay pigeon shooting, quad biking, treasure hunts and more. Hatherley Manor offers a range of catering options, tailored to your needs. There is complimentary parking for over 300 cars at Hatherley Manor. Hatherley Manor has 51 en-suite bedrooms, making it a perfect venue for residential events. Hatherley Manor’s all-inclusive packages, including a day and a 24-hour residential option, are perfect for stress-free corporate events, with everything from hot drinks and snacks to flipcharts and pens all included. And, if you have a bespoke event in mind, there’s also the possibility of creating completely bespoke packages. Call 0300 303 8302 or visit hatherleymanor.com directly. Situated in the heart of Gloucester, The Fountain Inn provides a convenient setting for hosting an array of business functions at the historic city centre venue. As one of the oldest known sites connected with the brewing trade in Gloucester, the venue offers the chance to hold a corporate event at a traditional English pub that’s steeped in local history. Located away from the hustle and bustle, delegates can expect a peaceful and functional space for everything from team meetings to brainstorming sessions. The venue benefits from two function spaces, the Orange Room, which can welcome 60 delegates and benefits from disabled access, and the Long Room, located upstairs with capacity for 80. Both rooms have overhead projectors and the tables can be configured in any format to suit a variety of functions. Choose from a range of food and drink options, from simple tea and coffee to buffets and full meals, with no charge for room hire when booking catering at the venue. There’s also the option to have private bar hire in the function rooms for a charge, while fans of real ale will enjoy rounding off a day of meetings with a cool pint in the cosy setting of the 14th century inn. There is no on-site parking but there are plenty of pay and display car parks within walking distance of the venue. There is no overnight accommodation at The Fountain Inn but there is a wealth of choice in Gloucester. The outdoor seating at The Fountain Inn offers a quiet and relaxing space to enjoy a break between meetings or an alfresco lunch during the summer. Call (01452) 522562 or visit The Fountain Inn Facebook page. Bowden Hall is a four-star hotel located in a peaceful setting yet conveniently located just three miles from Gloucester, making it an ideal choice for hosting corporate events. The venue offers a choice of flexible meeting packages, including room hire, an LCD projector and screen, and free high-speed WiFi, which can be tailored to your bespoke needs. The hotel’s Conference Centre includes a choice of six meeting rooms, offering plenty of choice depending on your needs and size of event. The largest space is The Lakeside Suite, which features its own bar and can welcome up to 180, while The Ambassador Suite is suitable for up to 100. For smaller events, choose from the Presidential Room and Congress Room, both with capacity of up to 40, and the Senate Room, which can host 30. The experienced catering team has a variety of options, including a two-course lunch in the hotel’s restaurant, a working buffet, a finger buffet and breakout menus that are ideal for afternoon pick-ups. With 72 comfortable ensuite guest bedrooms, Bowden Hall has plenty of space to host delegates attending residential corporate events. Take advantage of the 12 acres of woodland that surround the hotel and enjoy team building activities, summer barbecues, and leisurely lunchtime walks, which are the perfect way to break up the day. Call (01452) 255012 or visit mercuregloucester.co.uk directly. Gloucester Guildhall is an iconic performance venue, nestled in the heart of Gloucester city centre. The venue is connected to Gloucester Blackfriars, and the City Museums and can offer a range of private hire locations perfect for events, product launches and corporate meeting spaces. The Guildhall is right in the centre of historic Gloucester, and has a range of beautiful period rooms to choose from. Pick from the main hall, cinema, gallery and exhibition space, music studio or a further five meeting rooms of various sizes. Equipped with all the facilities you’ll need for a meeting or event to run smoothly; Gloucester Guildhall has a dedicated hire team who will make sure that you’re well looked after. Using local suppliers and fresh and organic produce, the team at Gloucester Guildhall can provide food for all of its meetings and conferences. There are a range of sample menus available, but the venue says it is happy to adapt its menu for vegans and vegetarians. 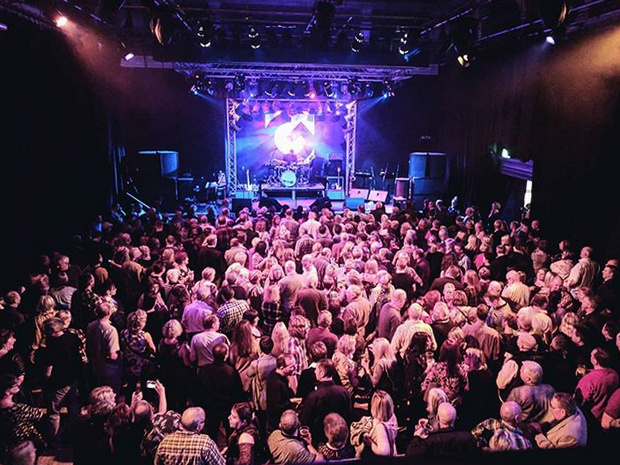 While there is no parking at the venue, being centrally located means that Gloucester Guildhall is easily accessible via train, bus or car, with a number of car parks available in the city centre. There are a range of different options available to suit all budgets. Starting with Standard hire, you’ll get room hire, free Wi-Fi and jugs of water for guests. Premium includes use of meeting and conference equipment, while Premium Plus also includes the headed paper, pens, highlighters and spring water for all guests. Call (01452) 396372 or visit gloucesterguildhall.co.uk directly. This stunning 17th-century manor house hotel is the perfect base for meetings and events, in a peaceful location overlooking Stroud Water Canal. Boasting glorious views, Stonehouse Court Hotel is the largest meeting venue in the Stroud Valley; located just 30 miles from Cheltenham and 10 miles from Gloucester, with excellent links to junctions 12 and 13 of the M5. Conferencing facilities are available for groups of 10 to 150, offering options for intimate board meetings, product launches, awards dinners and even team building activity days. Stonehouse Court Hotel’s dedicated events team promises to cater its facilities and spaces to meet each company’s individual needs and prides itself on providing ‘the perfect environment to inspire fresh creativity’. There are four meeting rooms available for hire at Stonehouse Court Hotel. The largest is the newly refurbished Caroline Suite, where guests overlook the beautifully landscaped lawn and garden; there’s space for 150 delegates when sat theatre-style, or 120 people for a private dinner. For smaller groups, The Crellin Room on the hotel’s ground floor features authentic wood panelling and architecturally stunning mullioned windows. There’s also private access to the gardens, giving it a delightful atmosphere for board meetings and private dinners. For groups of up to 12 people, the Sankey Suite, set on the lower ground floor of the hotel, overlooks the gardens and offers a large oak table with leather chairs. Finally, guests can book the Sandford Suite with it’s large windows, allowing the room to be drenched in natural sunlight; with direct access onto the hotel’s terrace, this room is perfect for smaller meetings or as a breakout room for larger groups. Stonehouse Court Hotel’s catering team can offer a number of food options including a Finger Buffet Lunch of wraps, baguettes, sandwiches, wedges and salad; and a Hot and Cold Buffet Lunch with a sweet option, or a Deluxe Hot and Cold Buffet. Stonehouse Court Hotel has ample space to accommodate a large number of vehicles. The venue has 36 en-suite bedrooms. Some of the larger rooms in the main manor house have been recently refurbished. There are also smaller garden rooms located in the hotel’s newest extension. All of the hotel’s rooms are equipped with Wi-Fi and are decorated in a contemporary style. Stonehouse Court Hotel has teamed up with a local events team, which specialises in team building activities. These can be booked in advance and executed within the hotel’s grounds. Located in a tranquil riverside setting, Egypt Mill is a unique hotel, restaurant and function space that’s housed in a converted 16th century mill in Nailsworth. There are two meeting rooms, with WiFi and plenty of natural daylight, offering space for up to 60 delegates. From refreshments and working lunches to afternoon tea and cake, Egypt Mill can tailor its catering to suit your needs. Guests can also take advantage of the on-site restaurant and enjoy a break from meetings. The hotel offers 32 ensuite double and twin rooms, while there are also one, two and three-bedroom serviced apartments available for those wanting to stay in self-catering accommodation. If you are planning a corporate celebration, staff party or company awards, Egypt Mill has two function spaces that are ideal. The experienced events team can help plan the perfect occasion, including a variety of catering options.